Merry Christmas in July!!!! 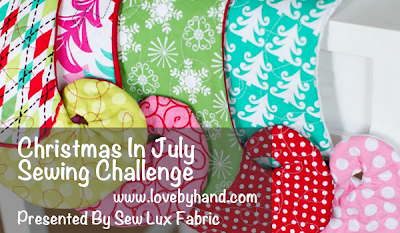 Christen of Love By Hand is have a great Christmas In July blog hop and sewing challenge! You can read all about it HERE. I was a bit ambitious in this challenge and decided to make a quilt! Pixelated quilts have been super popular lately--I've make two pixelated heart quilts!--so I decided to pixelate a snowflake! Chrissy From Sew Lux Fabric sent me this super pretty fat quarter bundle of Winter's Lane which is 10% off right now, no coupon needed! 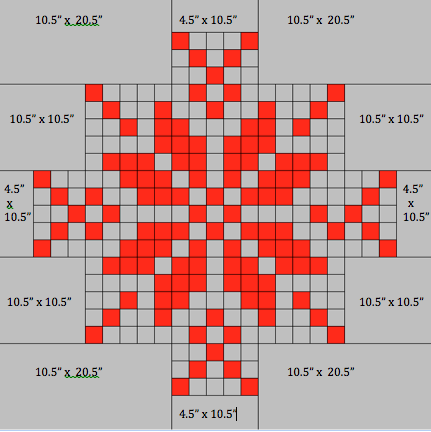 ***You can easily make this using any size squares you want to make the quilt larger or smaller. This is actually a super simple top to put together, so long as you follow the diagram below! 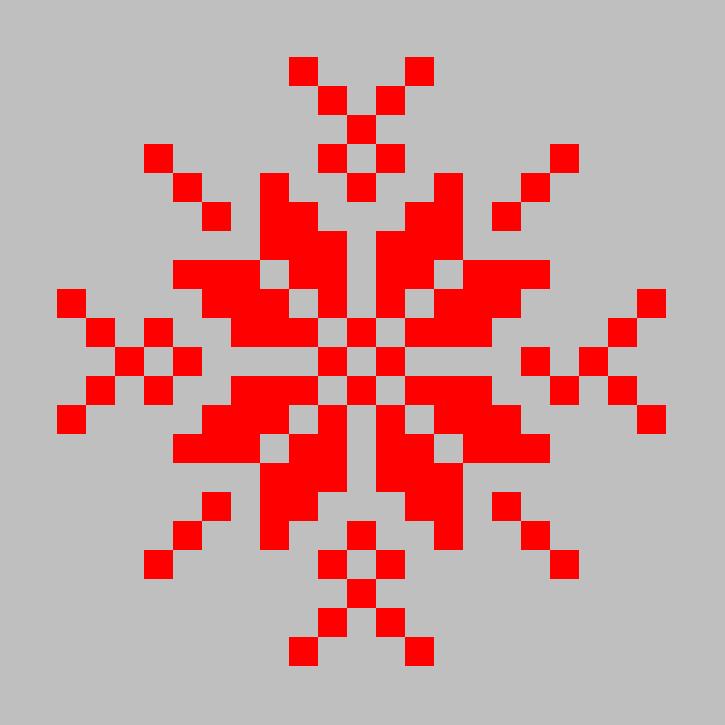 For the most part, I put the small squares together in 5x5 blocks, but you can divide it up however you'd like. I find working with only 25 squares at a time prevented mixups and seam ripping. This would make a great wall hanging, table topper, lap quilt or bed quilt depending on the size of the squares you want to use! Check out all the great holiday tutorials! Then, during the month of July, start and finish your own holiday sewing project to link up July 26-30 for a chance to win one of three amazing prize packs from these amazing sponsors! Winners will be selected by the judges, which will consist of all of the bloggers plus Chrissy from Sew Lux Fabric. Entries will close on Tuesday, July 30 and winners will be announced on Friday, August 1. 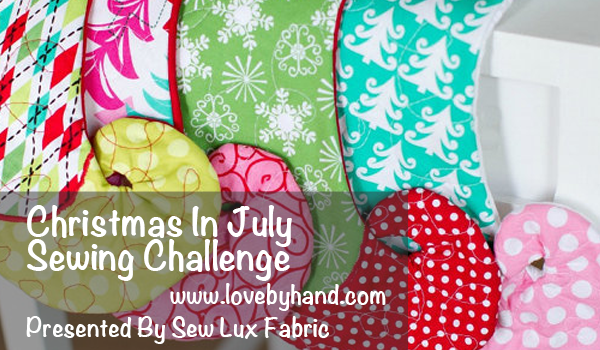 Enter any project you’ve made during July to get ahead of your holiday sewing. It can be anything (not just the projects we post here) and can include any fabric – it doesn’t have to be Christmas fabrics or colors. 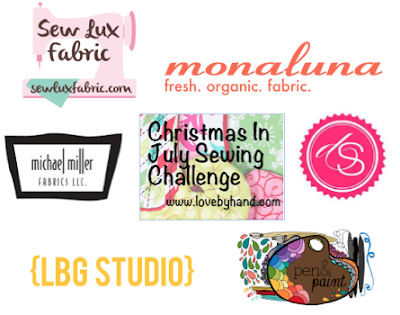 Starting July 26, you'll be able to link up your entry at Love By Hand. You'll have until 10:00 PM EST on July 30 to add your entry – one entry per person. Link a new post from your blog, your Flickr account or your Threadbias account – you don’t have to have a blog to enter! such a cool winter design. thanks for sharing. This is so amazing Kelly! I just love that you can adjust the size based on the size of the squares!